I went with my Tourism Management class today on an excursion to Fontevraud Abbey. This class is my “minor” (despite the fact it will occupy the majority of my class time now), and it’s very good because of all of the free field trips we’ll have to touristic sites nearby in France. This was the first major test for my new camera, and it wasn’t too bad. I noticed that many of my pictures seemed blurry with too much light, but I got some decent pictures. Hallways along the perimeter of the courtyard. This Royal Abbey was constructed between 1110 and 1109, which is insanely old by Canadian standards. We’d get excited to find a rock that old in the “New World”. 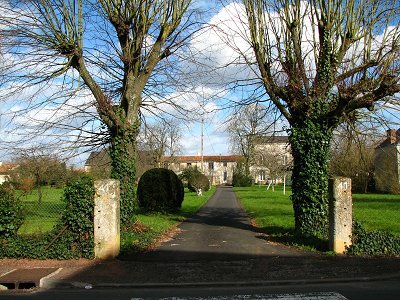 The Abbey began life as a “double monastery” in which both nuns and monks were present, with royal connections. The nuns were only allowed to talk freely once a year, while monks were supposed to pray often. They weren’t without perks. Nuns had their clothing replaced once a year, while monks were allowed to drink wine with every meal (instead of just once a day for the nuns). A uniqueness to this Abbey was that the leader of order, the abbess, was always a woman. 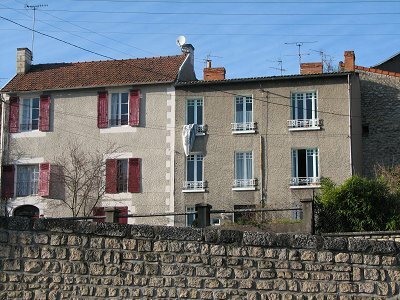 Many abbesses came from the French Bourbon royal family. The Abbey did not have much heating, except in one writing room, so they probably were cold a lot in the winter. It was very cold today. This is me standing inside one of the nicer rooms. Instead of paying attention to the actual purpose of this room, I was too busy having my picture taken. This room was where all the nuns slept. You’d think that this Abbey, now a culture centre and tourist attraction, could do more to make this type of room more interesting or authentic, to the extent where explanation of its original use wouldn’t be necessary to bring meaning to such a wide open space. The letters stand for the translation of “French Republic”, which comes from the time between 1804 and 1963 when the Abbey became a jail. This is inside the church, near the tombs where King Henry II of England is buried, along with members of his family. This fact is apparently not well known, as it was a million-pound question on the U.K. version of Millionaire, as our tour operator told us. Me sitting on a well. That’s all I have to say about the Abbey. I have the rest of my pictures posted in my Gallery as usual. I was originally planning to go to Bordeaux this weekend with ALOHA at the school, but that trip has been cancelled. Instead, I will be going to Disneyland Paris on Saturday, and possibly other places. I still have 2 days left on my train travel pass from my last trip that needed to be used on or before Sunday. On Monday, I will be visiting Futuroscope, a popular amusement park in Poitiers, with my Tourism class. The morning will be somewhat educational, but the park operators have generously allowed our class free access to the park for the rest of the day. Not bad. Not much new with me, except that I’ve been very busy and am slowly catching up on things. My minor class in Tourism started today, and I have it all day tomorrow. 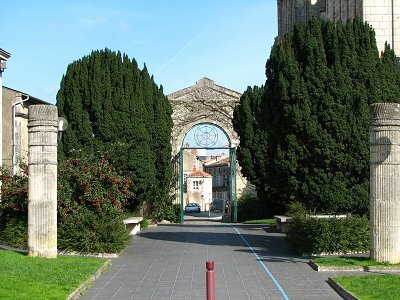 It turns out that this is a very good course to take, because I’m told by French students that it is easier, and you also get to go out and see tourism sites around Poitiers. Perfect! 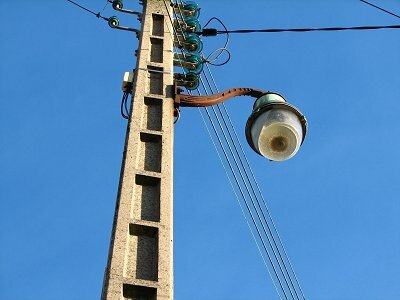 A few days ago, I went for a random walk with my wonderful Canon Powershot S2 IS camera. I went down by the river through a pathway from the street, and quickly found myself in the middle of the woods pretty much with houses built into the sides of hills, and farms visible in the distance. Long descent towards the water. Private wooded lot behind a partially broken wall. Not sure where this path leads to. You can see the wall knocked over for some reason. I didn’t do it. The river, with some left behind in the water. The walking here was a bit muddy, and my jeans needed a wash by the end of it. Suddenly, my camera was making weird noises, and then stopped working as it threw error messages at me. That was the end of it. I’m not having much luck with electronics here. I’m working on replacing it now, but that will likely be a hassle from France. I’ll likely have to buy a new one here and worry about fixing the Canon under warranty when I get home. 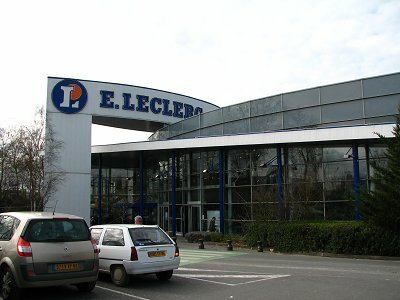 On the day before my big trip around the South of France, I decided to take a walk to the Leclerc’s grocery store since it was a nice day, and I was in need of laundry detergent. Uh huh. So all began innocently as I left my house, down the street, through the park, down the hill, across the river, and then to the right up the hill through to Leclerc’s. Or at least that’s how it was SUPPOSED to go. Even though I’ve walked the stretch once before, I made a wrong turn by going LEFT up the hill. Oops! 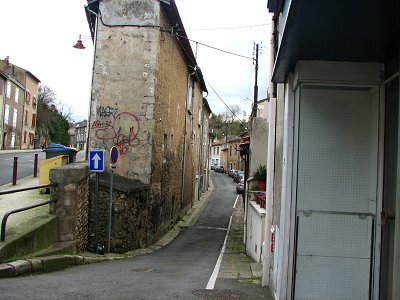 I became hopelessly lost (or about as lost as you can get in a small town like Poitiers). I continued through and saw a new neighbourhood that I had not already seen. Freakishly narrow house. Just exactly what proper use could you make of such an unusual living space? Looks like some rich person’s house. 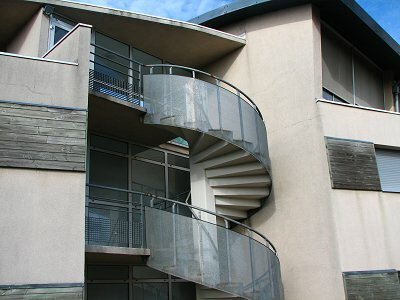 If you drink way too much wine, you have little hope of getting home up these crazy stairs if you live on top! Very nice yard, as long as you’re not someone who has to go door-to-door and walking up this long drive way. I did eventually make it to the store. 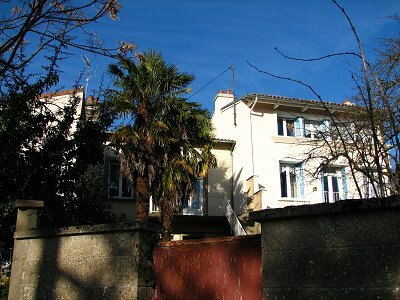 I wasn’t too far away, and at least got a chance to see more of Poitiers without the hassle of making a plan to do so. Once I got into the store, I found what I needed, and took a tour of the breakfast aisle. 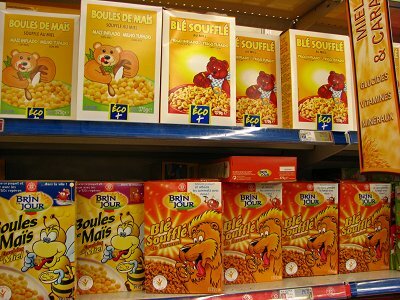 Imagine being the poor sap sent to get some or “Boules de Mais” or “Blé Souffé” from the grocery store. You would be left confused not knowing which one to get. I mentioned last time how my Sony Network Walkman music player decided to stop working. Not being able to survive for more than 24 hours without music, I set out to replace the player the next day. I went to FNAC, and spent about an hour looking at the products now available. I finally settled on an Apple iPod Nano 4 GB Blue. So far, I am quite impressed with it, as well as Apple’s iTunes software. My advice to anyone is to avoid Sony products since I’ve found they break quickly, and are not user friendly. The iPod set me back about 200 Euro, or about C$300 (compared to C$229 current retail price in Canada), mainly because France is the most expensive place to buy iPods and many electronics. I have no more classes this week, although I have a group meeting on Friday. That’s all for now. Don’t hesitate to leave a comment! 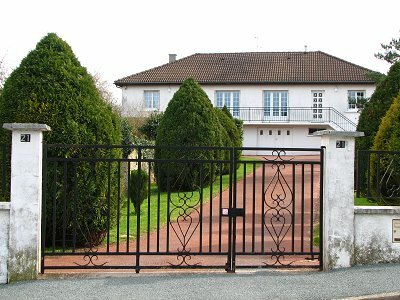 For this past week, I have been travelling through the South of France with Charles, my American housemate. The pictures posted here are only a very small sample of what I took. My journey began in Lourdes, a site strong in Roman Catholicism. I toured around the big church, as well as a castle (shown below). Overall, this was quite a beautiful old-looking city with plenty of nature visible. Outside the town’s famed grotto, I met a Catholic priest from India who wanted me to take his picture. He spoke about his intention to see all the holy sights in Lourdes, and also invited us to come see India. When night fell, Lourdes pretty much shut down, so I spent a few hours at the train station waiting for my night train to come. There, we met a woman from the Philippines who didn’t speak French, and was having trouble adjusting to the French rail system. She missed her stop a few days before for Lourdes, and paid 50 Euro for a taxi. Ouch! We arrived in Nice the next day. My favourite part was definitely the beach area and soft blue coloured water. A huge wind storm came up mid-afternoon, and it was a bit of a challenge to walk against the wind. I was fine for as long as I didn’t see any objects other than a tree leaf fly towards me. I stayed at Hotel Dante which was pretty nice for the price, including a small fridge, sink, and stove. After Nice was Monaco Monte-Carlo for a morning. I wasn’t rich or well-dressed enough to enter the famous casinos, but I did get to see much of the small city in just a few hours. I am standing outside the Prince’s Palace here. Finding a post office was a bit of a challenge here when I wanted to send a post card. I can’t complain though since Saint John has a large building in the Uptown labelled “Post Office”, even though it has been in use for years only by Revenue Canada and Customs (which itself is down the street from the “Customs Building” which does not contain any Customs offices). After Monaco, I was in Cannes only for a short while in the afternoon. There didn’t seem to be a whole lot there, although it was another beautiful seaside city. 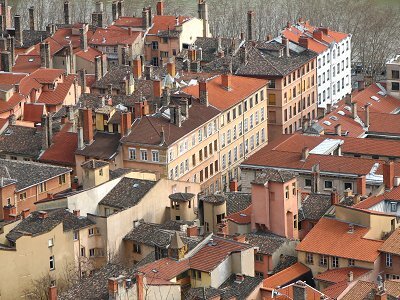 The last stop on the trip was Lyon for 2 nights. 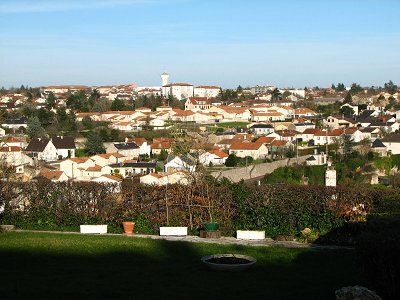 This is one of the larger cities in France, including its own metro system that I used extensively. There was lots of wonderful architecture here, and plenty to see. 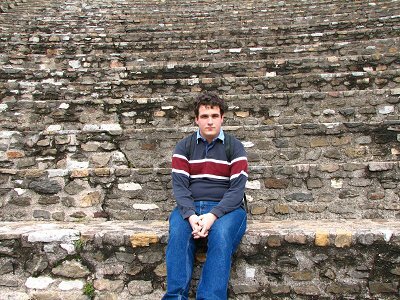 This is me sitting on a very old Roman Theatre. A relatively new church that is only about 100 years old. Zooming in part of the city. Me standing outside City Hall. There is plenty of construction going on everywhere. So that’s the trip. There was a lot of train rides, and I realized that the train controllers actually do check for tickets quite often, sometimes even twice on one ride. Train is the way to go between cities in a relaxing and fairly safe atmosphere. Today, I was unhappy to note the failure of my Sony music player. The volume control now gets stuck in the “increase” position, forcing the sound to full blast and preventing any other buttons from working. I tried to take the unit apart to see if I could fix it, but the problem is inside a tiny switch that has probably worn out inside. Tomorrow, I hope to buy a new music player. Not sure what I’m going to go for yet. 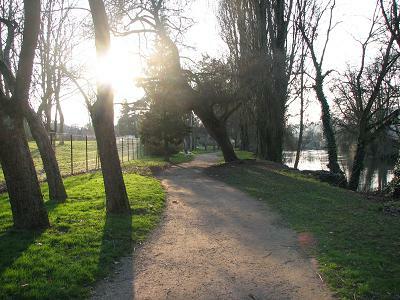 Isn’t Poitiers beautiful? It’s been a while since I’ve written. I’ve added many photos to my Parties gallery, which I am here to tell you about right now. On the 17th, we had a dinner party with bread, cheese, chicken and rice. Since rice is not my favourite food, I enjoyed mostly the bread and cheese. Meal preparation in progress. My contribution to this part was simply taking the picture. Me and Marie, one of the Aloha girls. 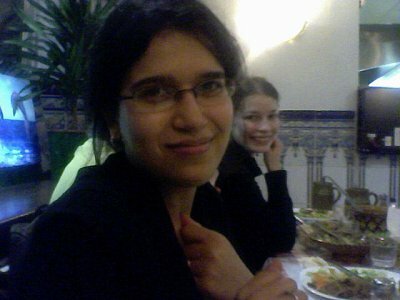 She helps organize many events for the international students, and enjoys speaking English. 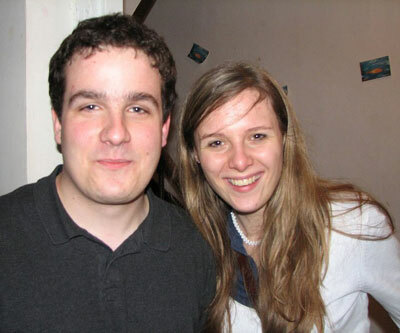 At this party, I had the opportunity to speak lots in French with Marie’s cousin, who is still learning English. 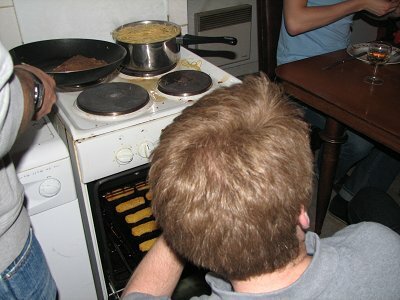 Early in the week, my American housemate, Charles, cooked spaghetti for French friends that he invited over. He didn’t do too bad, for it being his first time cooking it. He over-estimated the amount of spaghetti that he needed though. Notice how it is almost overflowing the pot below. I spoke French with our visitors, and they were all impressed with how clean my room is. We took a few pictures. 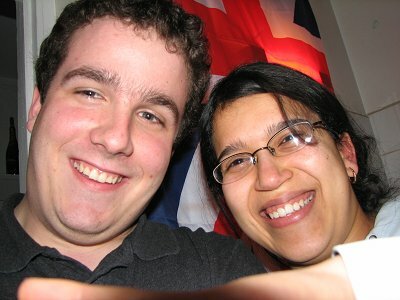 Below is one with me and Sihem, who is also in my class at school, and one of my project groups. Moving on to Canadian issues, there is talk in a CBC News article about dropping the penny from circulation again. After all, it costs more than 1 cent to produce the coin, and some countries have already removed their equivalent of the penny. Some people argue that removing it would turn the next highest coin into the new “penny”, and make them more careless to spend money to get rid of coins. 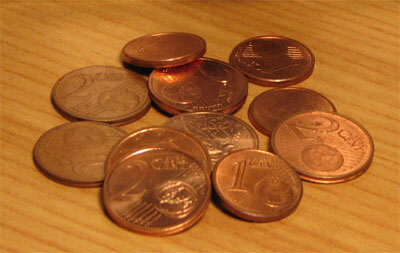 In France with the Euro, I have developed a collection of 1-cent and 2-cent coins. I don’t really use them, and probably will just collect and cash them in every now and then. It’d be more convenient and cost effective to just get rid of these small value coins in Canada, as well as Europe (as a couple countries have done already). 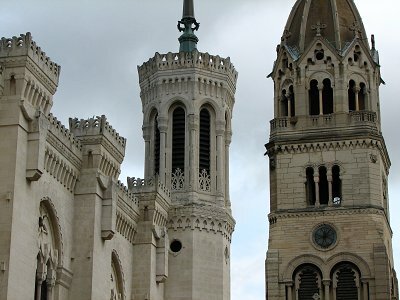 On Tuesday, Charles and I will be taking a train from Poitiers to Loudres, and then Toulouse in France. I’m not fully sure what we’ll all be doing or seeing, but I’m sure I’ll have plenty to report afterwards. The weather was very warm and sunny on Thursday the 15th, the best it’s been so far. I decided to take advantage of this by walking around Poitiers. I eventually found myself in a very beautiful residential neighbourhood. The pictures speak for themselves. 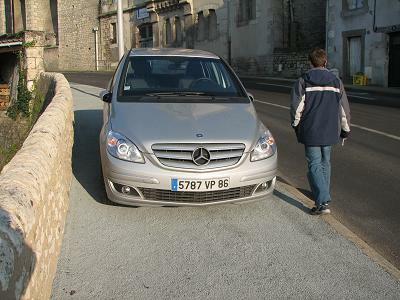 I was interested that this problem does not exist in at least some parts of Poitiers. As you can see, the pole is made of concrete with indents, presumably to be used for climbing. If we used these in Canada, the hydro companies wouldn’t need to whine about safety issues caused by their method of maintenance being vulnerable to tiny staples. Saturday the 10th was mostly relaxing. Since before I left for France, I’ve been in contact via e-mail with Nico, a French university student who went to UNBSJ a few semesters ago. I finally met him in person Saturday afternoon, and we went to the Caribou Café. This place follows a Canadian theme with Canadian license plates, maple syrup, and everything else. We talked mainly about our experiences in Canada and France, and the differences between the two cultures. Did I mention that we talk only in French? 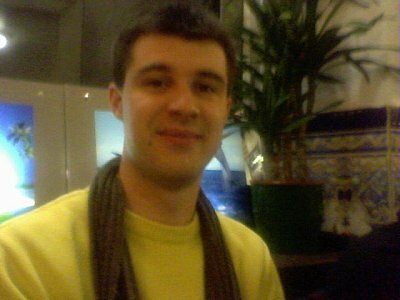 He’s doing a masters in English linguistics, and likely does not need to practice his second language as much I do! I was able to somehow say most things I wanted to say. Notice how I am actually holding the mirror? No, I didn’t do that the whole time, just at the end. Ben tried to mount a mirror on the wall, but that didn’t work so well. Let’s just say he now has 7 years of bad luck. 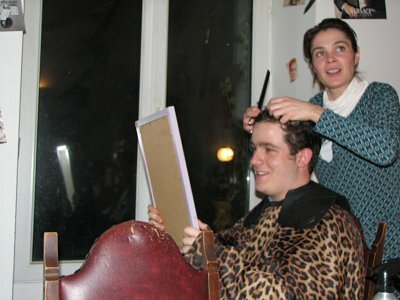 I have more pictures of others waiting to get their hair cut, as usual, in my gallery. On Sunday, I didn’t do a whole lot. I went for a walk at around noon. I had my earphones with music playing the whole time. At 12:34, I realized my cell phone alarm block was ringing since 12:00 without me hearing it. That explains some looks I got from some random strangers as I walked by. That’s all for now. 4 days of classes this week, plus various group meetings. Enjoy the week everyone! It has unfortunately been a while since I’ve updated. Hopefully I’ll make up for that today. 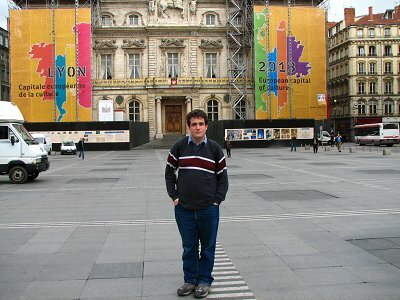 On Sunday the 4th, Brian (another UNBSJ student) and I went to a museum here in Poitiers. Mr. Gervis (our landlord) had told me that the museum is free on the first Sunday of each month, and that the 4th would be their last day for a type of exhibit. Some of the artwork and French sculptures were interesting, particularly an illustration of Poitiers several decades ago showing the old wall around the city, and other landmarks. After the museum, we walked around Poitiers a bit, where I got some more photos for my gallery. A nice shot in the park beside the river. If you’ve seen my Rockwood Park photos, you would know I love to compose pictures with sunlight, pathways, and such. 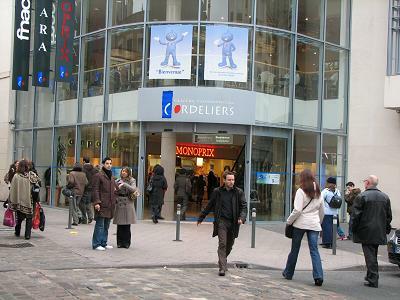 Entrance to the Cordeliers mall, with the Monoprix grocery store visible. This mall has a strange blue mascot which you can see above the entrance. 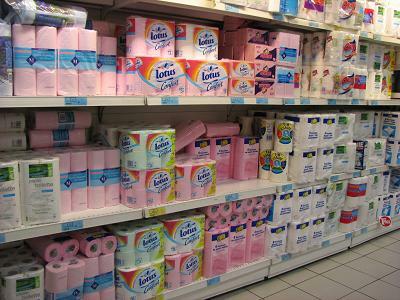 The pink toilet paper at Monoprix. One of the great mysteries of French culture. 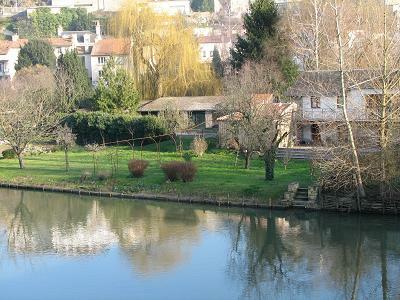 A house located right on the river. Not far from here, some people have farm fields next the river, all visible from the crowded city centre. Cars park pretty much anywhere here, even on sidewalks making it somewhat dangerous to go walking if traffic is heavy. One of the many crowded streets. 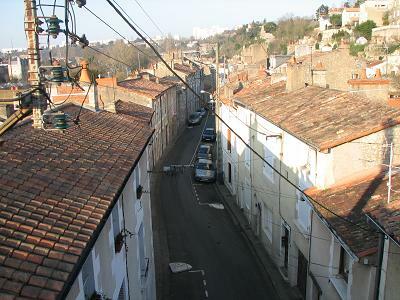 Most streets are one-way in Poitiers, with one lane of most two-lane streets being used for parking. On Friday the 9th, I went with some French and international students to see a movie “Ã la Recherche du Bonheur” (The Pursuit of Happiness) with Will Smith. It wasn’t a bad movie. 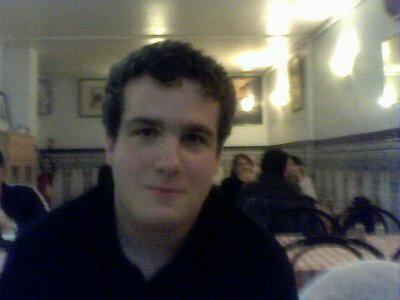 After that, we went to a Tunisian restaurant, which has cheap sandwiches. I had “Kebab Frites” (Kebab with fries), and it was pretty good. I brought my phone out, and everyone had fun taking pictures with it (despite the fact nearly everyone had their own camera phone capable of taking better pictures than mine). 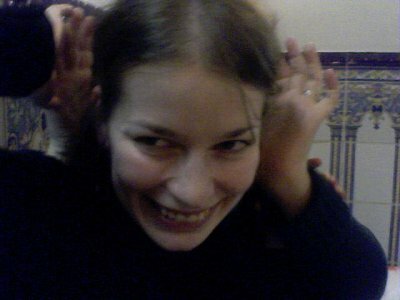 After the restaurant, we went to the flat of Julien and his girlfriend, where we just sat and talked for a few hours. I spent most of the time speaking in French, and so I am getting good practice with that at least! That’s all for now. I have more to tell soon in another post about today’s adventures.